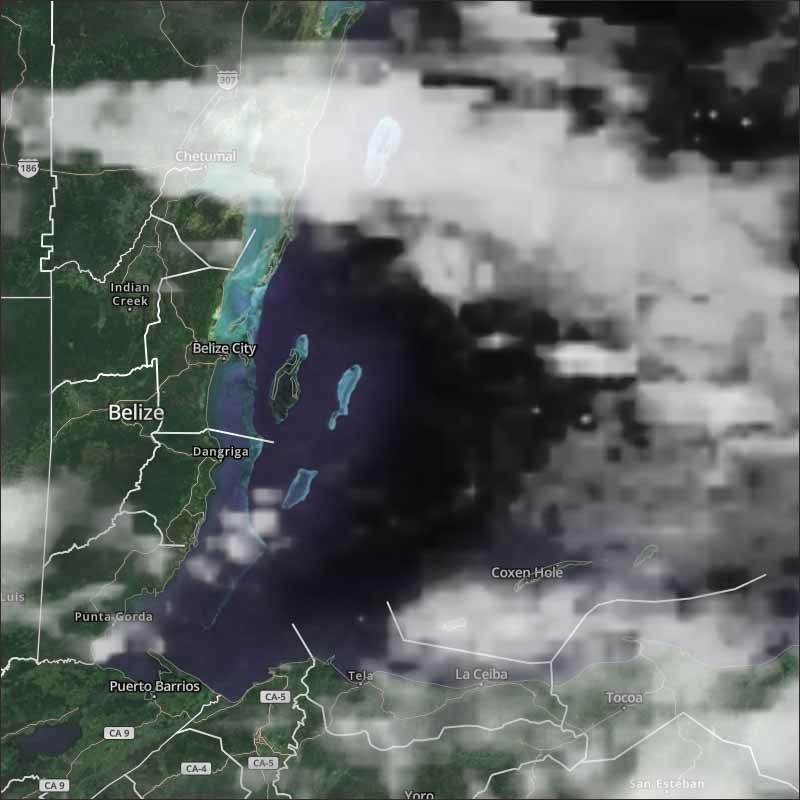 Belize NMS: Relatively moist and unstable conditions prevail over our area. 24-hour forecast: Some cloudy spells along with a few showers and isolated thunderstorms over most areas today, and then mainly over southern and some coastal areas tonight. General Outlook: For Friday and Friday night is for similar weather conditions, with increased showery activity. Tonight E 10-20 kts Choppy-Moderate 3-5 ft A FEW SHOWERS AND ISOLATED THUNDERSTORMS, INCREASING. If you cleaned your rain gutters in anticipation of a lot of rain ...well they probably needed cleaning anyway. This time of year Ambergris Caye residents need to remember after reading weeks of rain in the Belize weather forecast and getting none, that Ambergris Caye is an island on the tip of the Mexican Yucatan Peninsula and very different when it comes to the predictable weather of mainland Belize. On Ambergris Caye this morning we have a breeze from the East at 8 mph. and the expected high is 87 f.
We are presently, right in the middle of the ITCZ or Monsoon Zone. 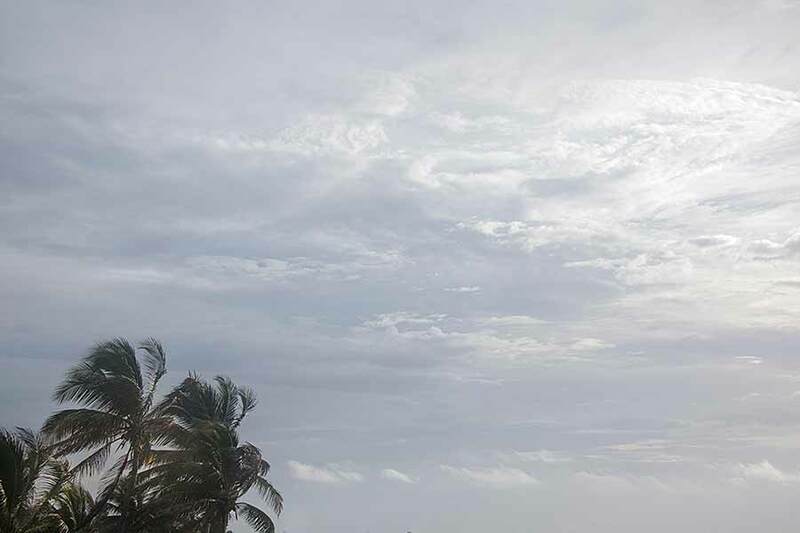 There were several areas of rain that passed over Belize earlier this morning, presently none. The west high level clouds are very patchy and erratic. Looks like today will be a mixture of cloud and sunshine, could be some patches of rain later this afternoon.